One more banana flower recipe following the other banana flower recipes I have shortly before. 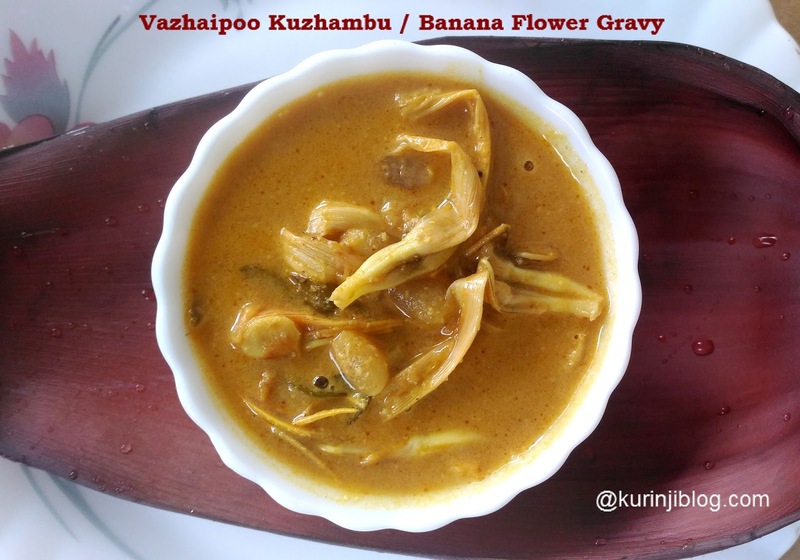 People will not be able to feel the bitterness of the banana flower and will only feel the kara kuzhambu taste. 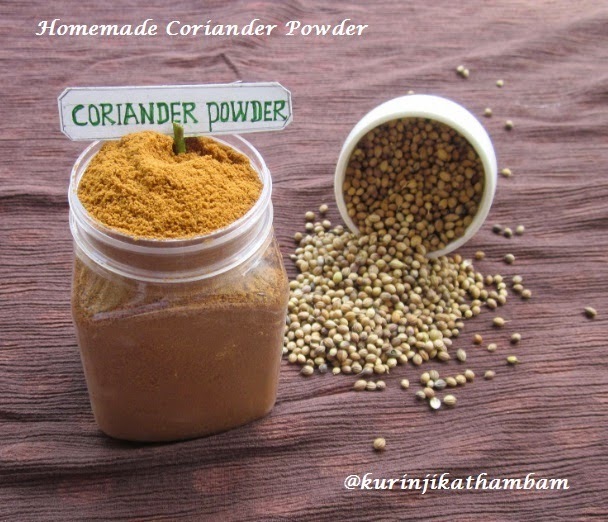 This recipe is a tip from my friend and neighbor Ramya in my native place. Click HERE to View more Kuzhambu Recipes. 3. How to clean Banana Flower? 1. Add tamarind in ½ cup of warm water for 15 mins. Then extract the juice from it. Keep it aside. 2. Extract the coconut milk from the ½ cup of the grated coconut. Keep it aside. 3. Heat 1 tbsp of oil in a pan, add cleaned banana flower florets. Fry them well till they turn into brown in color. Switch off the flame. Transfer the florets into plate and keep it aside. 4. Heat 2 tsp of oil in a same pan, add mustard seeds and wait for popping. 5. Add curry leaves and sauté for few seconds. 6. Add chopped onion and garlic. Sauté till they become translucent. 7. Add tomato puree and sauté till the raw smell goes off. 8. Add tamarind juice (from 1), fried florets (from 3), red chilli powder, turmeric powder, coriander powder and salt. Mix them well. Close the lid of the pan and cook till the raw smell of the tamarind goes off and the gravy becomes thick. 9. Now add the coconut milk (from 2) and mix them well. Cook for 2-3 mins. Yummy and tasty Banana Flower kuzhambu / Vazhaipoo Kuzhambu is ready! 2. Add ½ big onions instead of small onion.